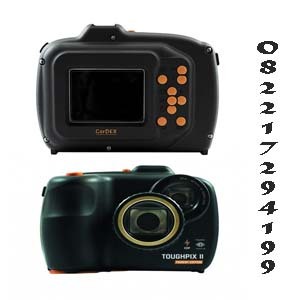 The ToughPIX II TRIDENT EDITION ATEX and IECEx Certified explosion proof digital camera is designed and certified with the professional inspector in mind. ToughPIX II is ATEX certified Ex d IIB+H2 T6 Gb / II2G Gb T6, for use in hazardous areas. Weighing in at 900g (including battery pack) ToughPIX II is lightest in class making it easier than ever to carry and transport. With an IP54 industrial protection rating ToughPIX II has the ability to capture still images and high definition video in the most demanding industrial environments.